The YUASA 12VDC Battery 7A utilize Yuasa’s unique electrolyte suspension system incorporating a microfine glass mat to retain the maximum amount of electrolyte in the cells. No gels or other contaminants are added. The combination of sealed construction and Yuasa’s unique electrolyte suspension system allows operation in any orientation, with no loss of performance or fear of electrolyte leakage. 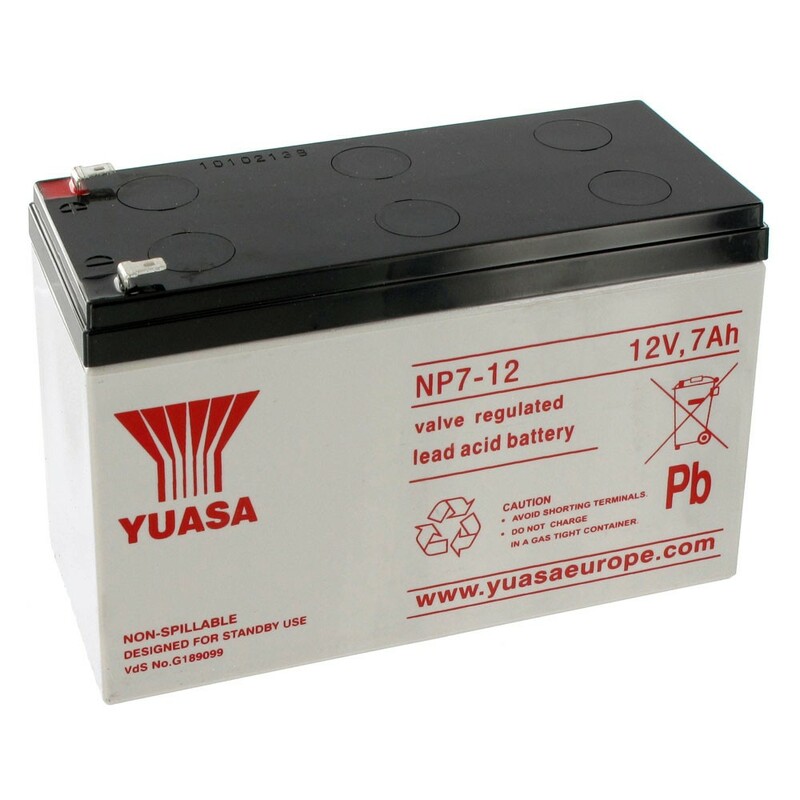 Yuasa NP7-12 batteries are equipped with a simple, safe low pressure venting system which releases excess gas and automatically reseals should there be a build up of gas within the battery due to severe overcharge.